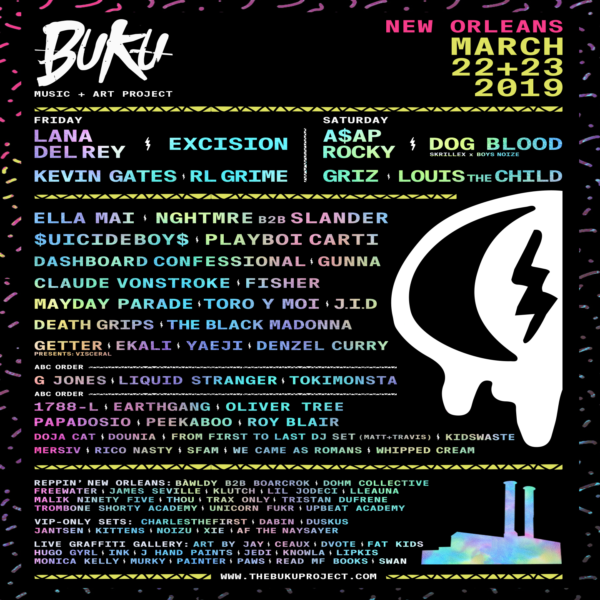 Buku Music + Art Project takes place in New Orleans, Louisiana on March 22-23, 2019. The festival is described as vibrant music and art meets underground warehouse party. Festival goers celebrate the progressive subculture of New Orleans. 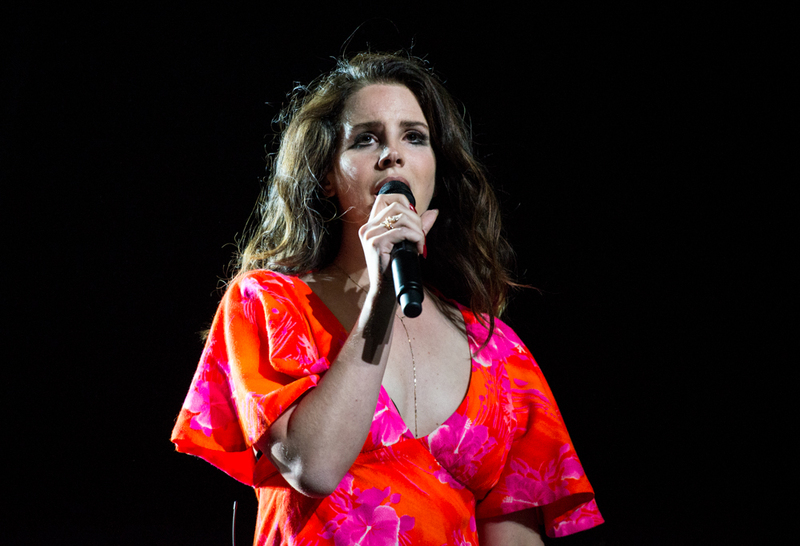 The lineup of this artistic festival includes Lana Del Rey, A$AP Rock, Dog Blood, Excision, Kevin Gates, Griz, RL Grime, Louis the Child, Ella Mai, $uicideBoy$ and many more. Artists who have graced the stages of the southern music festival in the past include Bassnectar, MGMT, Sza, Nas, Kendrick Lamar, Kid Cudi, Travis Scott, A$AP Rocky, Wiz Khalifa, Tyler, The Creator and so many more. BUKU is a New Orleans playground. The various stages are designed completely different. There is the Power Plant which is Buku’s Main Stage and named after the broken down market street power plant that looms behind it. The Float Den is located in a Mardi Gras float manufacturing warehouse where attendees are transported to an experience only possible in New Orleans. The Wharf is Riverside’s stage experience and the Front Yard includes bigger sets and a new art experience. 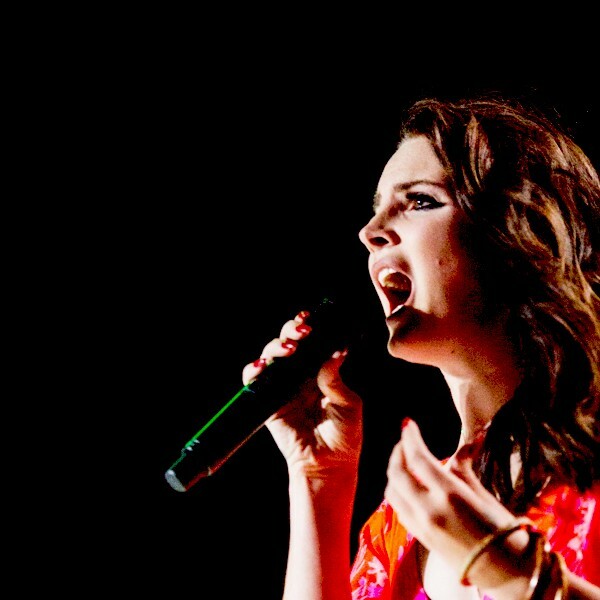 The lines between fan and performer are blurred. Attendees may think, Am I looking at art or sitting on it? Does it matter? Let go and immerse yourself in Bukulture. Music and art feel different like this. For seven years the urban music festival, has fused a diverse musical lineup with live street art, local food vendors and one-of-a-kind industrial art installations. The festival has given a portion of ticket proceeds to support an educational non-profit program called The Upbeat Academy Foundation, that teaches the technical and creative skills of hip-hop music production to youth of New Orleans.